I read this article and found it very interesting, thought it might be something for you. The article is called Govt Consumes 20% Of Petrol: Parrikar On Goa’s Radical Price Cuts and is located at https://archive.indiaspend.com/investigations/govt-consumes-20-of-petrol-parrikar-on-goas-radical-price-cuts-72893. New Goa Chief Minister Manohar Parrikar recently made headlines when he cut petrol prices by Rs 11 per litre in his budget, a move no other state government has dared emulate. 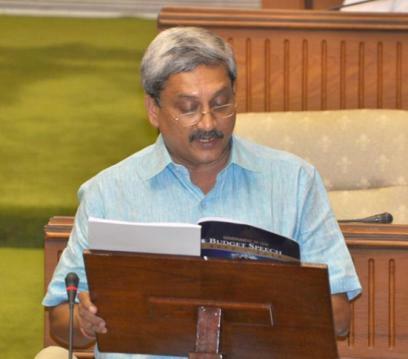 IndiaSpend’s Danielle Collaco caught up with Parrikar in the Goa Secretariat in North Goa last week to pin him down on the fiscal feasibility of his moves. Your budget has been described as innovative. Could you give us an overview of how you see the Revenue, Expenditure and the Deficit numbers for Goa? So in both ways, Revenue Deficit by norms should be zero, but we are very close to zero, less than 0.3%. Maybe by actual year end I should be reducing it to zero. In terms of fiscal parameters, the Budget is within the norms. Do you see mining as the greatest revenue earner for the state exchequer? Or do you plan to branch out into IT, services industry or tourism? Mining is undeniably one of the big revenue earners. But we cannot depend on it. Secondly, mining has become a big earner only during the last 3 years. When the Central Government amended the Act and imposed a large royalty… earlier we were getting barely Rs 35 crore or Rs 40 crore in royalty. Now suddenly it has increased to Rs 1,000 crore. While it is a good earner, we cannot be dependent on it. We have to ultimately grow out of our dependence on mining. In one way it is polluting and damaging, but we use mining for development of certain vital infrastructure. So the least we can do is to put it to good use for society. But ultimately your revenue has to come from other sources, not mining. So how much does Goa spend on salaries and pensions? And you’ve also offered certain government servants a special VRS. So how much would that cost the State Government? The VRS offer is for those government workers who can do business on their own after 15-20 years of government service. If some people go on their own, new blood can strengthen the Government services. So if a Government servant is capable of doing business, let him take the money and go. Let 15 years or 20 years criteria not be the reason why he is stuck in government service. So that is the logic behind the VRS offer. With salaries and pension together we spend about Rs 1,800 crore; which is about 22% of the Budget. So now since you’ve given them the Special kind of VRS, will you be giving them pensions also? You created headlines by announcing an 11 rupee cut in petrol prices in your budget. How much of a revenue loss will this cause? Actually the revenue loss will be about Rs 180 crore. You also reduced the tax on ATF from 22% to 12.5%. What kind of an impact will this have on the exchequer and how do you plan to counter these losses? How much do you plan to make from these measures? I’ll answer ATF first. As far aas ATF goes, I think we should break even because the lower tax is resulting in a slightly higher off-take. That would compensate for itself. The idea was this is a tourist state, more flights come here. They’re happy to come because of low tax and mind you, almost about 40-45% of the Revenue Expenditure for airlines is in fuel. So if I reduce it by 10 percentage points, then directly there is a reduction of 4-5% in cost of the operation. So people are happy to come toGoabecause of low fuel. And next year I intend to take it down to 4%, so more flights can land in the state. It will offset the losses because of higher passenger numbers. There will be more sales and therefore more tax collections. So ultimately I think it will be somewhat the same figures as mentioned. As far as petrol is concerned, I feel that 15-20% of the petrol purchasing is by the Government, at least 15%. So part of it, out of Rs 180 crore, maybe about Rs 30-40 crore comes from the Government coffers. The rest; about Rs 140-150 crore will be offset somewhat by an incremental rise in excise duty and we intend to collect toll tax from outside vehicles coming into Goa; maybe Rs 100 per vehicle or Rs 200 per vehicle depending on the size. That would add up about Rs 70 crores. So that adds up – 70 +70; 140 crores. How much have the sales of petrol gone up after you made the announcement? The coastal belt sales have gone up about 20-25%. That’s obviously because some vehicles from the neighbouring states come into our state, fill up on petrol and go away. I mean it’s worth it; if you have to travel 10-12 kilometres, it’s worth it because if you get 60 litres in the tank, you’ve saved Rs 660 directly and another Rs 440. That means you have saved about Rs 1,100 per tank as compared toMaharashtra. In your budget you proposed to build a new 6 lane bridge across the Zuari which would be completed in 36 months. Will this be under the NHAI or will it be a state initiative? And what would be the expected expenditure and who will bear the cost ultimately? The total cost of theNational Highwaywill be around Rs 4,000 crore. Completion will take around 4-5 years. Of course, theZuariBridgeis a part of it,ZuariBridgewill be done first, along with all bridges in the state. Roads in stretches may be started in December. You’ve also spoken about constructing around 13 new bridges. What is the cost allocation for these? And is there any timeframe that you can give me as to when they would be ready. Actually about Rs 3,000 crore is the total cost of the bridges. It’s a package over a period of 3 to 5 years. Everything doesn’t happen immediately. The process has started. One or two have already been tendered. Another 3-4 will be tendered in the next 1-2 months; maybe by July. The work will start in most of the cases, maybe in November or December and March, next year. In this way for one year there will be programmes for laying down of foundation stones. And after that one year, there will be programmes of completed bridges continuously happening. Every 3-4 months a bridge will be ready. So with 3 to 4 bridges per year, we’ll complete the job in cover up in 4-5 years. You mentioned that you plan to introduce a Mass rapid transit system. That’s one of the concepts. Let me see how the feasibility works out. I have had hardly any time to work on the feasibility of the mass transit system, but I believe it is requirement of the State. Now if feasibility doesn’t work out it is a different story. The idea is that you need not take your car all the way to Margao. You can travel from Mapusa to Margao by train or coach which might travel at the speed of 80kmph and within half an hour you are in Margao. Your Government plans to introduce a subsidy on cattle fodder. You have declared a support price of Rs 30/litre of milk for which you have increased budgetary provision, from Rs 1.80 crores to Rs 15 crores. You’ve also increased the allocation for the Kamdhenu Scheme, from Rs 80 lakh in 2011-12, to Rs 10 crore for this year. So how will all of this be funded? It’s already provided for in the Budget. It doesn’t happen overnight. See I know that production of milk is about 70,000 litres or 75,000 litres. Last time when I was Chief Minister I had increased it to about 1,60,000 litres. It has dropped back to about 70,000 litres. Our need is 3,00,000 litres. Now increasing 70,000 litres to 3,00,000 litres is a 4 year target. The immediate target will be to increase 70,000 litres to 1,10,00 litres or 1,20,000 litres. Next year the target will be 1,80,000 litres. So you don’t require all the money in one shot. Many of the projects are divided over a period of 3-4 years. Even this Zuari bridge, is 36 months. So I might require about Rs 300-400 crore a year. Over 3 years I require Rs 900 crore. 60% of that is my share. So if it’s Rs 540 crore over 3 years, then its Rs 180 crore per year. The cost burden is shared with the Centre. The only thing is you have to go on doing it and not give up. We heard that you’re exploring the option of Contract farming in the Monsoon Session. How much would you consider allocating for this considering that this is an option to counter the loss in agricultural yield? That can happen only if we can freeze the Agricultural Tenancy Act. The Tenancy Act is one fear which is in the minds of the people. It is always in the back of their minds, that they will lose the land. Contract farming can be done only if there is a provision in the Agricultural Tenancy Act. It was Rs 10 crore; I increased it to more than Rs 300 crore, Rs 380 crore to be precise. You’ve also provided Rs 150 crore for the implementation of the Ladli Lakshmi Scheme where each girl above the age of 18 years will get Rs 1 lakh by the time she gets married. About 15 to18 lakh girls will claim it this year. What kind of methods do you plan to impose to make sure that the money goes to the right people? And is this money available to every single girl even those above the age of 18? Yes, every girl in the State is covered. But they will get it against a marriage certificate or a Registration certificate. Apart from that, are there any other criteria? Who all are eligible for this? Does economic background matter? Housewives coming from homes with incomes less than Rs 3 lakhs per annum will get Rs 1,000 per month. How much will it cost your government? Rs 150 crore we’ve provided, it may cost actually Rs 200 crore. Remember, this year, since it is starting in August-September, it will be a partial implementation during the year, not full year. So this year it may cost not even more than Rs 100 crore. But next year it may cost say Rs 170-180 crore. It is very simple to calculate: Rs 12,000 per family per year. If you have 1 lakh families, it is Rs 120 crore. If you have 2 lakh families, it is Rs 240 crore. I expect somewhere between 1.60 lakh to 1.80 lakh families to come under that scheme. So if I take 1 lakh sixty thousand families, Rs 192 crore is the outlay. But this year we’re not providing Rs 192 crore, we’re providing Rs150 crore because we are not starting it from zero. We’re starting it from somewhere around the 4th or 5th month. The last question. Which is your largest revenue earner and which is your largest cash guzzler? In terms of expenditure, PWD is one of the largest. Having said that there are many departments whose outlay has been multiplied by 6 to 7 times. For instance, Urban Development, because Urban areas are decaying, Tourism, Tribal Welfare… several departments. We have increased allocation in all these departments from Rs 40-50-60 crore to Rs 300-400 crore. PWD is about Rs 950 crore but then it is the largest in terms of expenditure.